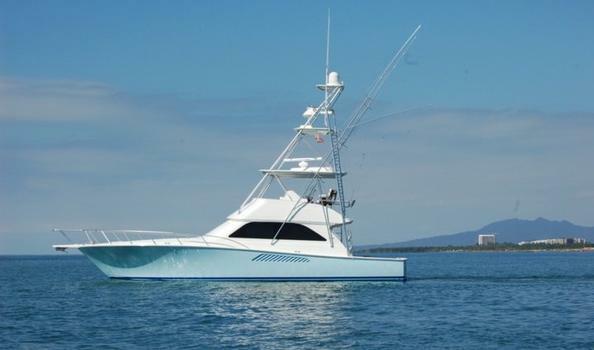 48′ 2004 Viking Conv with Tower, asking $499K! This Viking 48 Convertible is a rare find. 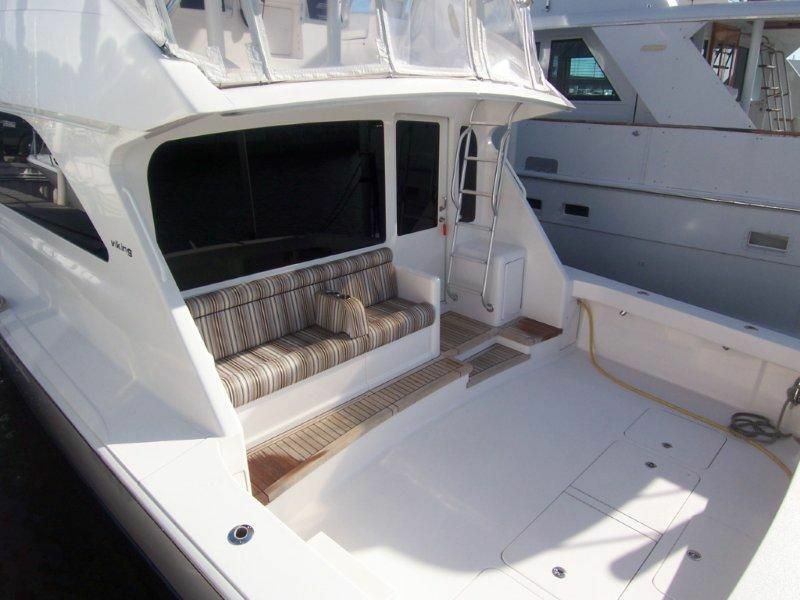 Enjoyed solely in the fresh waters of the Great Lakes this 48′ is fit with a cockpit mezzanine! Did we also mention the bow thruster, hydraulic Freedom Lift and a real nice electronics package! 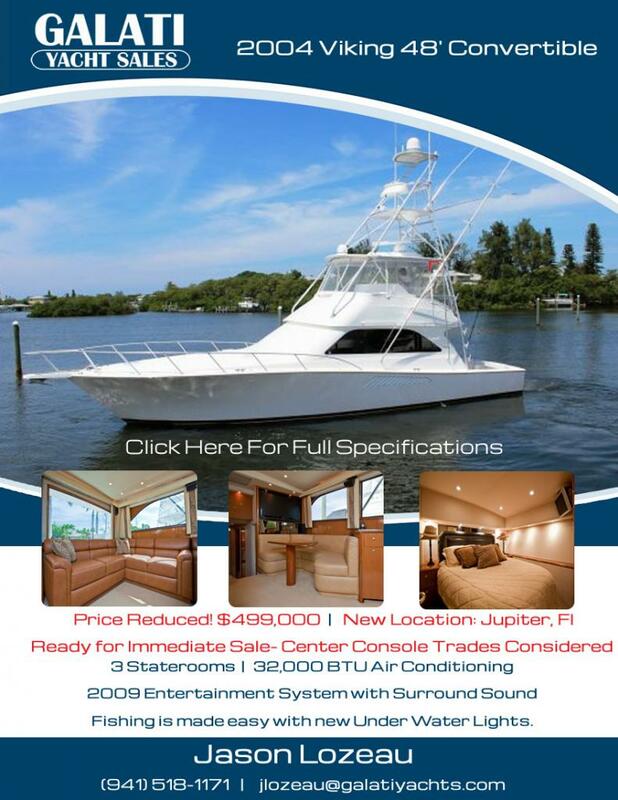 Inquire today before this Viking 48′ is scooped-up! This 48 Viking Convertible is by far the best rigged 48 on the market today. 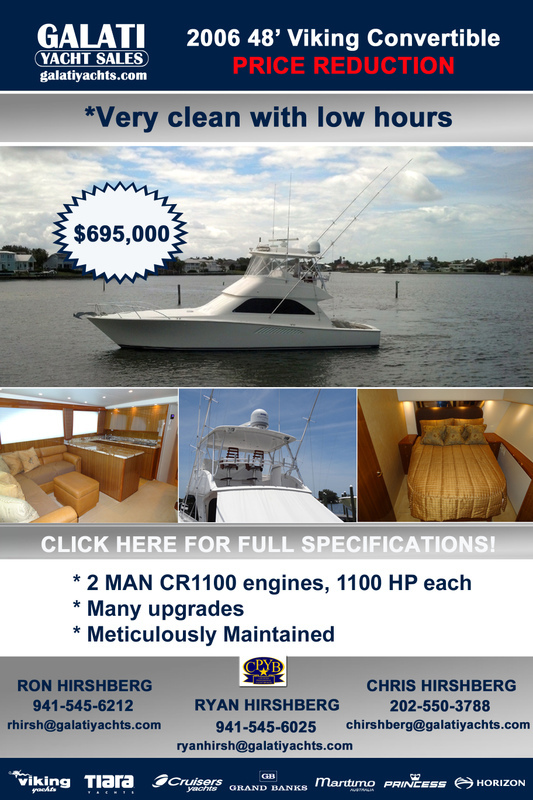 She features the preferred MAN 1100 Common Rails, the Three-Stateroom layout and all the right options. A very robust electronics package includes Furuno NAV NET 3D with three black box displays, 12kW Radar, AIS, SAT Weather, SAT TV, SAT phone, FLIR and more. Her fishing amenities include a transom live well, eskimo ice machine, US-9 electric teaser reels and a Pompanette fighting chair. 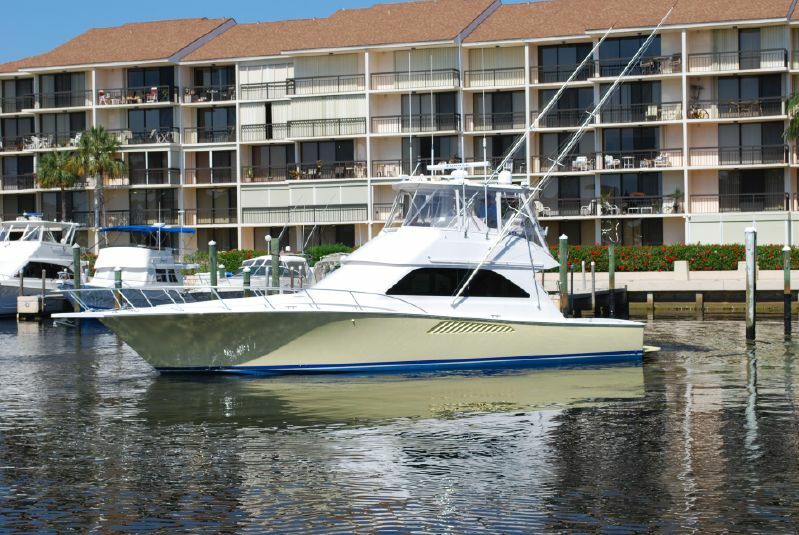 This one owner Viking 48 has been captain maintained since new using an open checkbook. Owner has moved up. 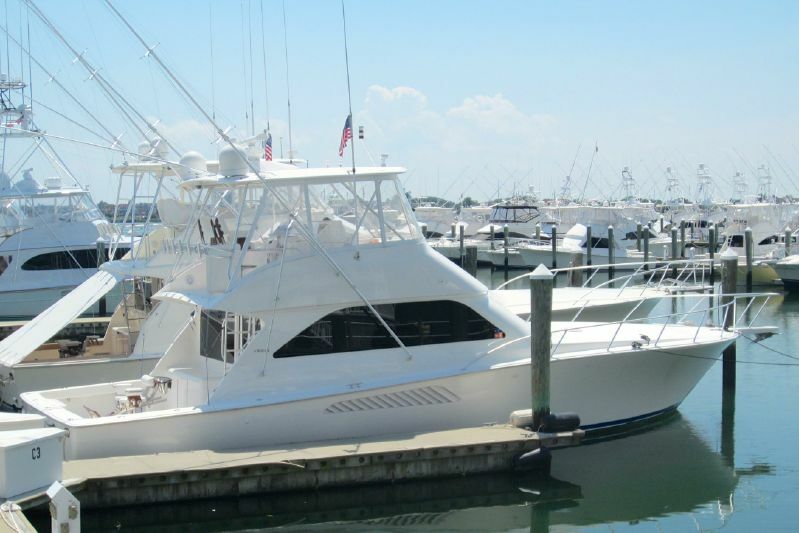 offered by South Jersey Yacht Sales office. This two stateroom, two head layout has had only two owner her entire life. With only 750 original hours, she has been lightly used. The owner is getting out of boating so let this be the next one to sell. YOU WON’T BE DISAPPOINTED!